A couple of years ago, I confessed about how I secretly look forward to Mondays. It might have stirred up the teeniest bit of controversy–a tempest in a blog teapot, if you will—but somehow the comments got lost when we updated the blog design. My post even prompted our own Tela to respond with why she loves weekends (and Mondays, not so much). 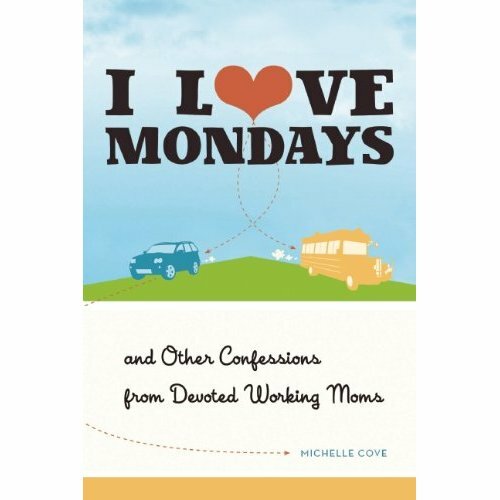 My goal with I Love Mondays: And Other Confessions from Devoted Working Moms was to create an encouraging and useful book with hands-on strategies for us moms to use right now to deal with the 11 biggest concerns for working moms today. All too often we are told that we should feel lucky to be a mom and have a career we like; or that we shouldn’t feel guilty when work obligations get in the way of a family event; or that we deserve to be happy. These messages are nice, but what we need are ANSWERS that will make our lives run smoother, take down guilt and stress levels, and boost our parenting confidence. Tasty Tuesday – This is Chili!